This column is the second in a two-part series about the Link Trainer, the world’s first flight simulator. You can read part one here. It took Edwin Link five years to convince the U.S. Army to buy his flight simulator. But in the wake of the Air Mail scandal — with thirteen pilots dead from lack of instrument training — the U.S. Army Air Corps decided the Link Trainer was a good investment. The initial 1934 order of six trainers, at $3,500 a piece, was a coup for Link — but it was only the beginning. The Army contract catapulted Link Aviation, Inc. onto the defense industry’s radar. The little company, still headquartered out of Binghamton, New York, started receiving orders from the U.S. Navy as well as Tokyo, Moscow, London and Berlin. The Trainer, built in a basement for Link’s amusement, was about to arm the world for the greatest air war in history. This column is the first in a two-part series about the Link Trainer, the world’s first flight simulator. Edwin Link had a passion for flying. He took his first flight in 1920 at the age of 16, and by 1927 he was a convert, borrowing money from his parents to buy a Cessna Model AA. He planned to make a living barnstorming, training, and flying charter flights, but money kept him grounded. Being a private pilot meant constant fuel and maintenance expenditures, and flight instructors were tough to find in Link’s hometown of Binghampton, New York. But Link was a tinkerer and problem-solver by nature, and he had one major advantage in his corner — the family organ factory. Jenny died today. She held against hordes of grotesque alien monsters, and she was one of my best. But it wasn't enough. I named Jenny after one of my best friends. She was married last summer, and now here she was, on the battlefield. Surrounded by greys and the tortured husks of her comrades, she gave her last breath to bide time for the others to escape. It was her or them. 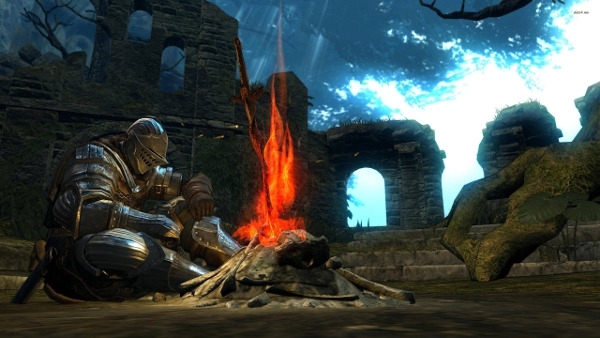 There’s a touch of magic in the bonfires of Lordran. I don’t mean the sort of magic that conjures fireballs or heals wounds – such things are commonplace there – but an altogether more primal strain, the kind that turns men to flowers and flowers to men, that comes without warning or not at all. No matter how many of them you stumble across, the emotional arc still lingers: a hint of surprise, a flood of relief, and the nagging fear that whatever comes next might somehow surpass what you just vanquished. I’m almost done with my third playthrough of Dark Souls, the sophomore entry in Hidetaka Miyazaki’s acclaimed Souls series. Before that, I conquered its sequel, Dark Souls 2, and Bloodborne, a Lovecraft-tinged spin-off that owes such a heavy debt to the core franchise it still gets invited to the family reunions, tentacles and all. This was all in the span of a year. Some of my friends call me obsessed; but to the fans of Miyazaki’s work, I’ve barely scratched the surface. There are still character builds to test, covenants to join, loot to plunder – and, as is the series’ signature, lore to analyze. 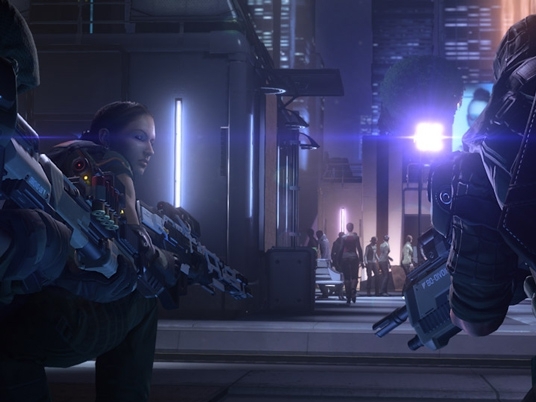 Video games don’t have the best track record portraying religion. Nervous about controversy, most titles avoid the topic altogether -- even in historical settings when it should play a large role. When games are forced to address the topic, they tend to tiptoe around spirituality, paying it lip service as best, misunderstanding it at worst. Which is what makes Rise of the Tomb Raider so fascinating. Rather than fleeing from religious subject matter, it makes Byzantine heresies an essential part of the conflict, and injects its invented religions with personal meaning, historical basis, and an evolving structure. In doing so, Rise of the Tomb Raider creates a religious landscape that’s far more credible -- and realistic -- than most video games. I’ve frolicked about in some of the coolest Star Wars landscapes: Taris, Manaan, Coruscant, Nar Shadda, Korriban, and Mos Espa. I’ve been to a volcanic planet which resembles Mustafar from Revenge of the Sith, where Anakin Skywalker and Obi-Wan Kenobi had their final showdown. I’ve been a Queen, an Empress, a criminal, an assassin, and an Ithorian soothsayer. I led a rebellion against the Galactic Empire and got it all on video. 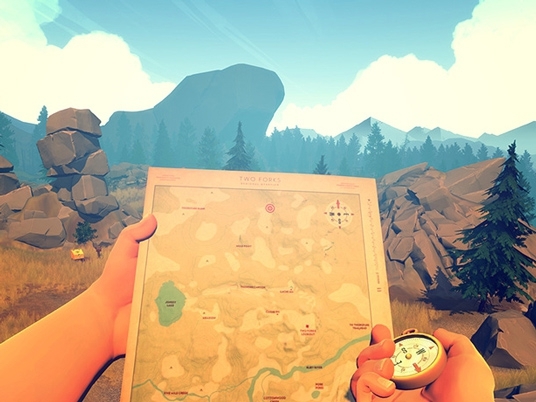 Firewatch is the story of Henry, a middle-aged man from Boulder, Colorado who takes up the job of a "Lookout": a government wildlife official who watches for fires in large forests and national parks, and works to prevent them. We learn early on that he finds the job posting in a local paper, not as an introduction to the game, but as a conclusion to a long and grueling realization of his wife's deteriorating medical condition. Henry isn't applying as a lookout in the empty wilderness to get easy money. He's doing so because he needs to escape from a life that is crumbling around him.